and what motivates them to come back after a long gap! I latched onto The Zutons’ music when their debut, Who Killed...... 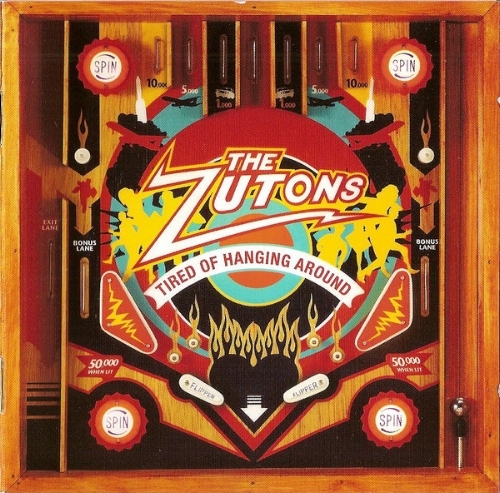 The Zutons?, came onto the shelves in 2004. I was still at university but had not yet graduated and was sort of wrapping things up. A lot of the music I was hearing up in Cambridge was contemporary mainstream and I discovered The White Stripes a year or two before – and was compelled and obsessed by their back catalogue. Liverpool’s The Zutons offered something eccentric, fresh and exciting. So much of my musical curiosity back then was something gnarlier and less uplifting but, when I heard that album, I was instantly struck. There is not a lot on the Who Killed...... The Zutons? Wikipedia page – apart from the tracklisting… – but there was a lot of interest and fascination when they arrived on the scene. Songs like Pressure Point and You Will You Won’t are instant and burrow in the head. Others – like Nightmare Part II and Dirty Dancehall – take a few spins before all of their layers start to make sense. It is a confident and different album that many compared to the work of The Coral. That is a band I was heavily into and, having started out earlier than The Zutons, it is understandable if a few hints and sounds were incorporated into The Zutons’ locker. The bands are different and I feel The Zutons are more accessible. The debut album, whether critics were totally on-board or not, is a giddy delight and one that still stands up some fourteen years after its release. “There was a little bit of everything here, including the powerful sax playing of Abi Harding -- obvious on every track but not dominant -- and Boyan Chowdhury's guitar work, which was original and innovative (and would soon be missed, as he left the band not long afterwards). They unashamedly lifted the intro of Tears for Fears' "Everybody Wants to Rule the World" for their song "Valerie," but the song was so good that one could forgive them almost anything; indeed, Amy Winehouse took the same song into the Top Ten for the second time within two years with a very different version. What a pity they released Tired of Hanging Around in the same week as Shayne Ward's album; otherwise, there would have been some real music at the top of the charts”. “Noughties indie icons The Zutons have reformed for their first full tour in nine years. The Liverpool band are touring next March to play their debut album ‘Who Killed The Zutons’ in full on an eight-date tour, to mark the album’s 15th anniversary. Tour dates are below. Tickets for the tour will be available at this link from 9am on Friday (November 30). It comes two years after The Zutons reformed for a charity benefit to commemorate the death of their friend Kristian Ealey. Zutons singer Dave McCabe sang with Ealey in his first band Tramp Attack. At the time, the band vowed it would be their “final ever” concert. ‘Who Killed The Zutons’ included the singles ‘You Will You Won’t’, ‘Pressure Point’, ‘Confusion’ and ‘Remember Me’. The Zutons’ most famous song ‘Valerie’ featured on their second album, ‘Tired Of Hanging Around’, which was covered by Amy Winehouse. The Zutons released their final album to date ‘You Can Do Anything’ in 2008. It is great to see the band have got back together – there was a bit of tension at one stage and many felt their days were extinct – but there is a real appetite for their music and what they left behind. I wonder whether, like many bands returning after years at sea, this is about nostalgia and recapturing memories. You see the article above and, yes, The Zutons were darlings and icons of the early-2000s. They represented something bold, colourful and appealing and, whilst their music is still relevant, is a tour a chance for us to see the old hits one more time before they go off again?! The band have said material will follow – they are keen to get paid, they cheekily remarked – and I wonder why they have come together again. Maybe they all got into a room and decided enough is enough...it has been a long time and we are all close mates. Perhaps there is that need to mark ten years since their last album and mark a sort of anniversary. The dates, I am sure, will be well-attended and I do wonder what a new Zutons album will involve. As much as I love Who Killed...... The Zutons? ; it has been fourteen years and they couldn’t very well repeat the sound of the debut. I love the infectiousness of that record but understand if they take a different stand. My worry is that they will do something more ‘mature’ and loss the spark and adventure that opened eyes back in 2004. I always think their secret weapon is saxophonist Abi Harding and her mad skills! Even from the debut album, it was her extraordinary talent and passion that sort of brought the songs to life. I love Dave McCabe and the guys but I hope Harding plays a big role in any new record and the tour. I presume the band’s original/last line-up will be solid and unchanged but it is what they do after the tour that interests me. I know Harding has been busy since The Zutons sort of went on hiatus and I cannot wait to hear her back in the fray. There is that debate regarding nostalgia and a genuine new phase of a band’s life. Many can say The Zutons are simply trying to milk the nostalgia cow but, at a time when so many artists enjoy a brief career, seeing them come back and look to the future is a good thing. The pressure from critics will be huge and many will want to see – if and when another album comes – something akin to their earliest work. The members are all a bit older and wiser and might be looking to take their sound in a new direction. Can The Zutons rekindle that flame and get the same sort of attention they received in the middle of the last decade?! It’s billed as a “greatest hits tour”, and when Mike Skinner confirmed the news about the comeback, he joked he’d “missed tour buses very much”, adding “it’s been long enough”. Yes, seven long years since he put on his Classics to have a little dance and perform live as The Streets. Course, there were a few raised eyebrows when the news landed. Skinner sounded adamant when he told The Guardian “The Streets is finished” at the beginning of the decade just before the release of their fifth and final album, going on to say “I have no interest in repeating myself”. He recently said the decision wasn’t based on the pay-day, telling Mr Porter “I don’t need the cash, otherwise I’d have done all the festivals, and the offers we got were insane”. As reunions go, this is one of the less complicated ones since Mike Skinner is The Streets. No inter-band wrangling, here. For these shows, he’s surrounded himself with a white-hot live band of five members. It includes long-term collaborator Robert Harvey on guitar, formerly of baggy-rockers The Music, and the other half of Skinner’s collaborative project The DOT. The soulful Kevin Mark Trail joins him on vocal duties for large parts of the set, swapping flanks of the stage, but it’s still a show that’s led by Skinner. Who, by the way, is looking in top shape for a guy now into his late-30s”. 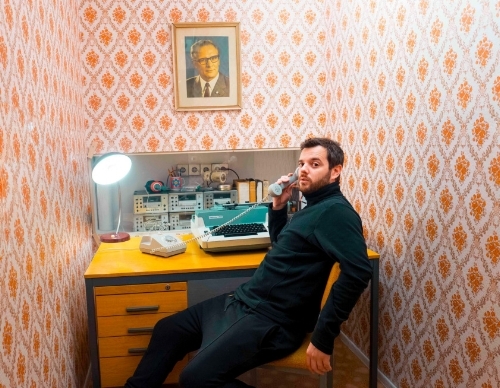 The last album from Mike Skinner’s act, Computers and Blues, was out in 2011 and it was felt, once that album was done, things were complete. There were those questions around cashing in on remembrance and nostalgia but Mike Skinner seems to be in inspired mood and is putting out new stuff. Like The Zutons and how they will be remembered; many people will look at the glory days and recapturing that spirit. The Streets’ first two albums, Original Pirate Material (2002) and A Grand Don’t Come for Free (2004), and want more of the same. The fact Mike Skinner is not the same man as he was then means we cannot return to those days. In that time, he was this young man whose experiences of council estates and dodgy takeaways was drawn from experience a sense of struggle. Now, having moved on from that life to an extent, he cannot write about the same things with the same clarity and authenticity. The newest stuff he has put out sounds pretty good but many will note it is not quite as lofty and epic as the stuff being produced back then. Back in 2002, there was this emerging U.K. Garage and Hip-Hop scene and this was pre-YouTube and streaming. The scene was different and I think a lot of people look at artists and expect they will pick off where they left from or they will return to their golden period. Every band and act needs to evolve and it would be unrealistic to expect Mike Skinner to write about dodgy birds down the pub and negotiating the weather as he makes his way home from a late one. Even though the newish material from The Streets is not as fired and genius as the older work; it is exciting to see things kicking back off. No plans, as far as I know, are out regarding a new album and whether there will be more Streets stuff. The dates are out so, in order to transition from nostalgia to a genuinely new phase of things, Skinner will be thinking, let’s hope, about a new album. The Zutons will have some pressure regarding when an album comes out and how it will sound – don’t expect new stuff from The Streets to instantly go back to 2002. The Zutons were vibing from and capturing a spirit that was looming in 2004 and party of a Mersey/Wirral sound. Things have changed and The Coral have moved on from their more weird and wonderful experimentations of The Coral (2002) and Magic and Medicine (2003). The thing that links The Coral, The Zutons and The Streets is a distinct regency – 2002-2004 – and it has been a long time since then. Even though The Zutons and The Streets are playing their earlier material in new tour dates; that does not mean, when new material comes, they will stick with that sound. It is tricky for any popular band/artist to go away from music, come back after a long time, and convince people they are looking ahead and not simply doing a sort of nostalgia tour. It is great to see The Zutons and The Streets return but we all want new tracks and are curious where they head. WILL be right behind them!